My fiancé and I love being able to drive away for the weekend. 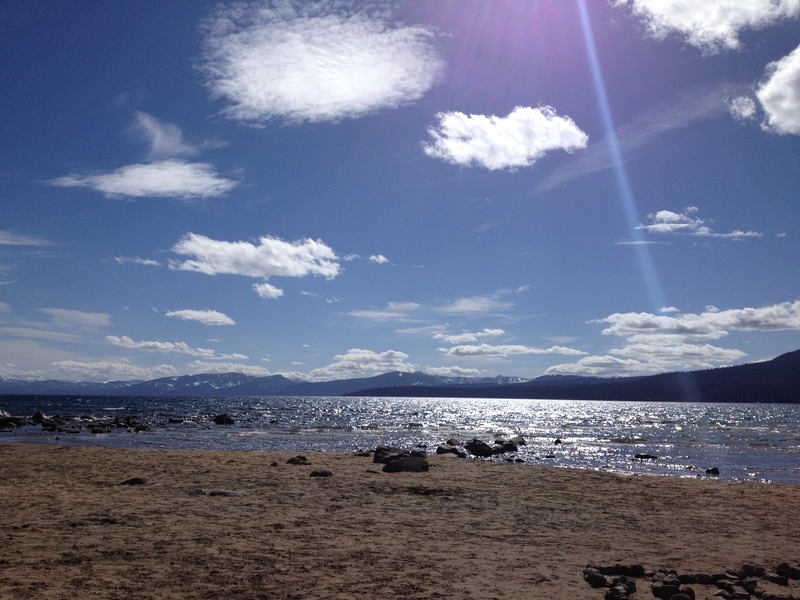 This time we whisked away to Tahoe Vista in North Lake Tahoe. My parents are both retired (lucky them!) and they were just gifted a timeshare (even luckier!) so we went to meet them at their new digs for a weekend by the lake. 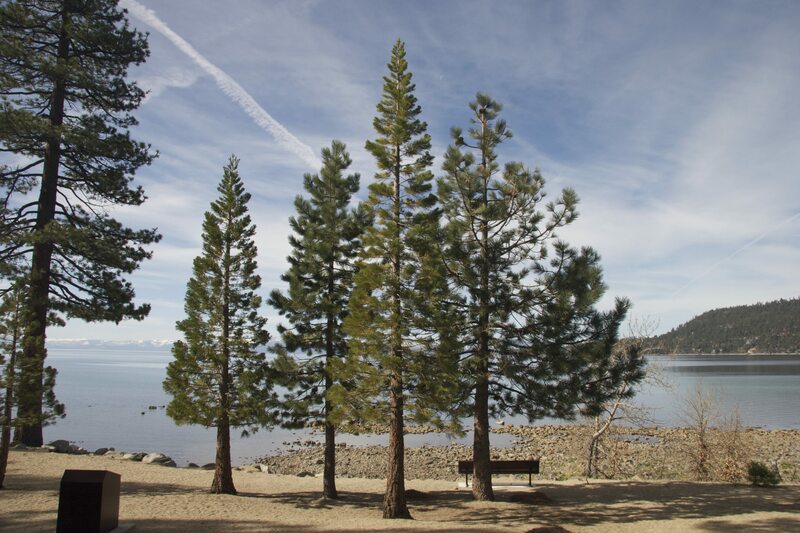 Lake Tahoe has become a bit of a Springtime family tradition. 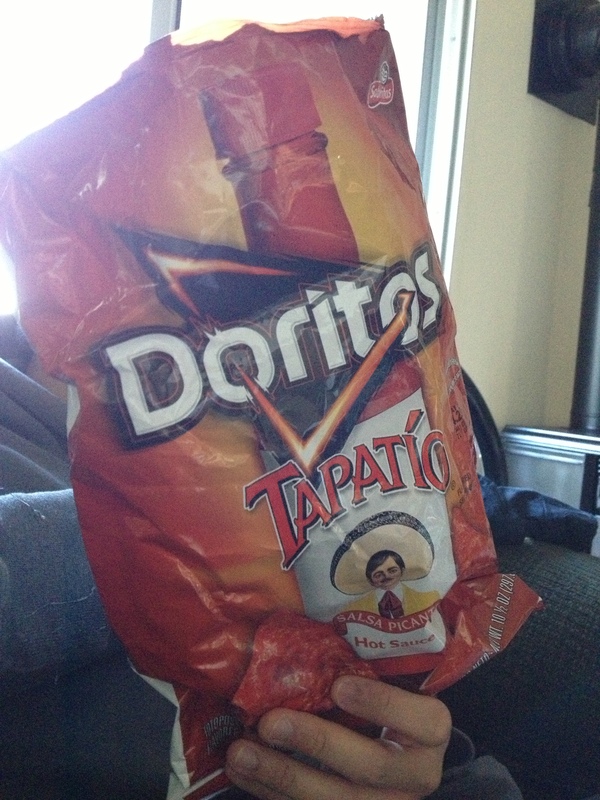 Also part of the tradition – eating a bag of Tapatio Doritos, first discovered by my sister and I on our 2011 Tahoe trip. This was a quick visit. We drove up, hung out for just over 24 hours, and drove back home. Even though it was a short stay, it was jammed packed with outdoor explorations, feasting, and visits to local attractions. First off, the trees are perfect in North Tahoe. Pictures don’t do them justice. I could sit by the water for hours just listening to the soft currents and chirping birds, and looking at the trees. Sure it was cold out, but I found myself walking along the shoreline barefoot. The water was actually refreshing, and it was fun to find rock islands to take pictures on. Half of our meals were out; the other half in. Coming from a foodie family and living in the Bay Area has upped my food standards significantly. Unfortunately, North Tahoe food just isn’t that great, but here’s a colorful picture of beverages followed by a picture of my Daddy cooking yummy things in the timeshare kitchenette. Even away from home there is a fully stocked fridge. And whist in North Lake Tahoe, we joined in the timeshare fun with cookie decorating (totally meant for kids, but was still entertaining! ), hung out in the non-smoking section at the casino nearby (I won $5.50. Sweet. ), visited a shop full of bears (they were a little creepy), and checked out a local market (because that’s what I do on vacation). Until next time, Lake Tahoe! Where do you like to road trip to? Share below. Previous Postwax on, wax off.